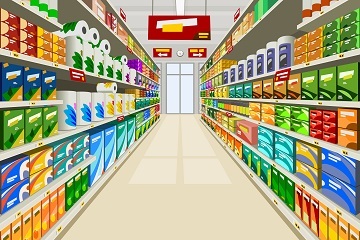 The landscape for the Consumer Packaged Goods (CPG) industry is changing rapidly driven by changing consumer preferences, demographic trends, static wages, proliferation of SKUs, shift toward online channels and diminishing effectiveness of traditional promotional and merchandising strategies. Volume sales are sliding in the U.S. and dollar sales growth is largely driven by inflationary prices. CPG manufacturers that leverage analytics effectively across the business operations have a competitive advantage and can generate superior returns. Merilytics partners with CPG manufacturers across various segments such as Food & Beverage, Apparel & Footwear, Home & Personal Care etc. to leverage the vast amounts of data available through social media, internal and syndicated data sources, to better understand the consumer, product performance, promotions effectiveness and competitive behavior. In addition, we provide analytical applications and tools that can drive value in Sourcing & Procurement, Sales & Operation Planning (S&OP) functions, Pricing Optimization, Assortment and Category Management, and generate greater returns on investments.